The new South African T20 tournament named Mzansi Super League will be played from November 16 to December 16, 2018 featuring six teams. Known as the T20 Global League last year, it was canceled after being unable to garner the support of a TV broadcaster and ended up costing the board a lot of money. The South African cricket board has now done everything possible to get a new tournament going. And one of the reasons why the tournament is called Mzansi is because the board wanted it sound very South African in nature. The main player draft was held on Wednesday, October 17 in South Africa and teams picked up their MSL T20 Squads based on that draft. The Mzansi Super League full squad lists and MSLT20 schedule is placed below. The Nelson Mandela Bay Giants will be led by JJ Smuts, who has played internationals for South Africa but more importantly the balance of the side has Jason Roy at the top of the innings with him, Chris Morris as their all-rounder in the middle and Imran Tahir leading the spin bowling attack. Tshwane Spartans will depend on AB de Villiers, who has retired from international cricket to lead them with his fine batting performance and once they have England captain Eoin Morgan also available it will be a middle-order to remember. While they do need a top-order showing to balance that out, they also have Lungi Ngidi to get going with the ball. Chris Gayle and Kagiso Rabada form a two-prong, batting-bowling strength as far as the Jozi Stars are concerned, with Reeza Hendricks, Dwaine Pretorious and Beuran Hendricks to add the necessary firepower. Hashim Amla will be a part of the Durban Heat set-up, but they will be the team to watch out as Rashid Khan leads their bowling attacking. It also has David Miller, Kyle Abbott and Keshav Maharaj to strengthen the core of their team. The Cape Town Blitz will be led by Farhaan Behardien, while their biggest pillar of batting strength will be Quinton de Kock, who will also have Dawid Malan for company at the top of the order. Dale Steyn will lead their bowling and with Asif Ali and Samuel Badree in their line-up, this could be a tough team to beat. Faf du Plessis has taken over as captain of the South African side after the retirement of de Villiers and he will also lead Paarl Rocks. On the other hand, the recently-retired Dwayne Bravo, Tabraiz Shamsi and Aiden Markram will all be a part of this squad that also has Ireland’s Paul Stirling in the line-up. The first ever season of the MSL T20 will begin on November 16 with a game between Cape Town Blitz and Tshwane Spartans. Each of the teams will face off against every other team on a home and away basis, making it 30 matches during the league stage of the competition. This will be followed by two playoffs including the final which will be played on December 16. 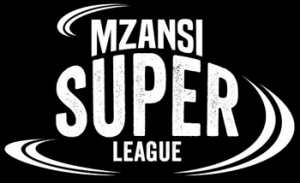 The tickets for the Mzansi Super League’s first ever edition will be on sale from Friday, October 26. Tickets for all 32 matches can be bought from that day onward and they will cost just R50 ($3.4). In order to be able to buy the Mzansi Super League tickets, you can go to www.ticketpros.co.za and select cricket. You can also call 0861 008 277, or you can visit any of the TICKETPRO retail outlet throughout the country – Edgars, Jet, CNA and Spar. The board have signed up with SABC as the official broadcaster. SABC will release information on how this new tournament in SA can be watched on TV and streamed online soon. The South African cricket board will own the majority share in the competition. They will also produce the tournament and sell it to TV channels around the world. According to the format, all these six teams will play off against each other twice in a round-robin format which will be followed by two playoffs to make it 32 matches.. The format will be similar to the Ram Slam T20 or the CSA T20 Challenge, but will only be played at the big grounds in the country including Wanderers in Johannesburg and Kingsmead in Durban. What’s interesting to note is that this new South African T20 Mzansi Super League will be played between November 16 and December 16, thereby coinciding with the T10 Cricket League. As a result, players who have already been selected in the T10 League squads might have difficulties in pulling out of that contract. South African players who will be featuring in the T10 League include the likes of Rilee Rossouw, Colin Ingram, Marchant de Lange, Cameron Delport, Morne Morkel, Hardus Viljoen and Roelof van der Merwe. Internationals like Chris Gayle, Eoin Morgan, Kieron Pollard, Jason Roy, Mujeeb Ur Rahman, Darren Sammy and Andre Russell are all going to be featuring in the T10 league. Some of the South African cricketers will also be absent as they feature in a ODI series against Australia which also clashes with some of the aforementioned dates. All the information on the MSL T20 schedule, tickets, live streaming and TV options is placed above.